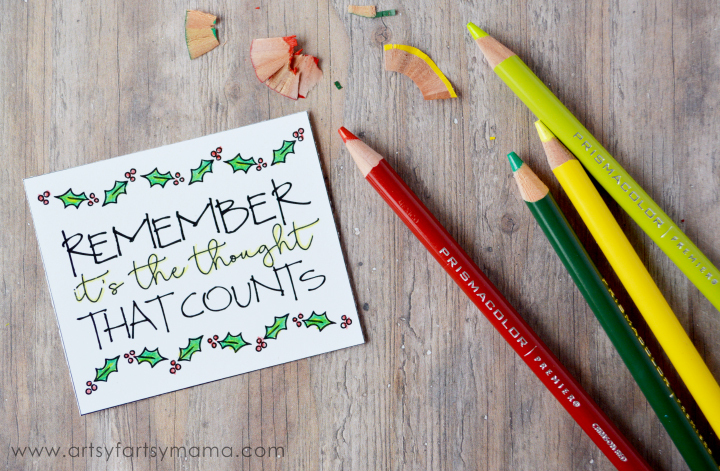 With the craziness of the Holidays upon us, I think we can all honestly say we need a little time to sit down and relax. One of my favorite ways to get my mind off of the to-do list is to color. Yes, color! There's a reason the trend of doodling and “adult coloring” on the rise, and that's because it's so therapeutic to be able to create art in just minutes. 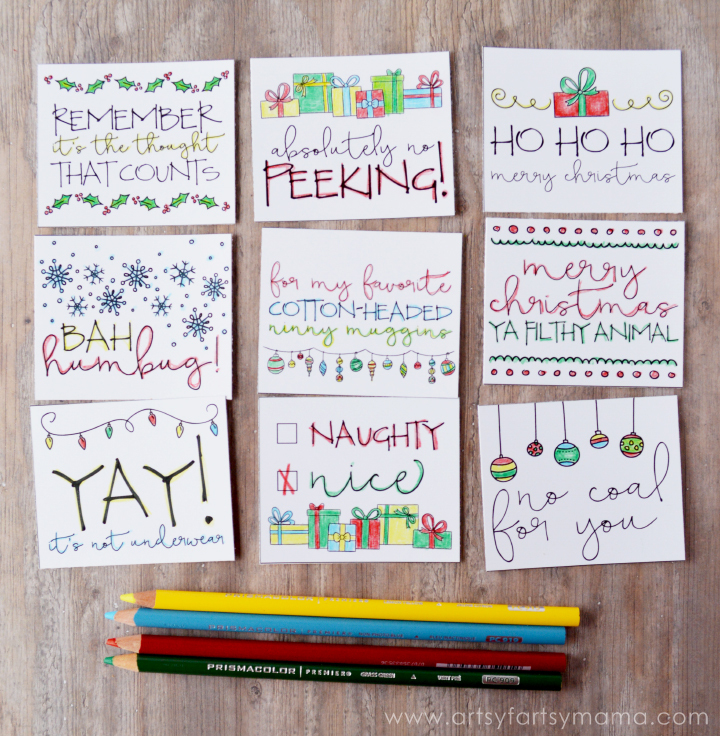 I've created some free printable doodle Christmas tags for you to add to your gifts this year, so take a deep breath and wrap those gifts... then get ready to color the stress away! For any doodling or coloring project, you'll need the right tools. I found the Prismacolor Premier colored pencils and illustration markers at Michaels. They have every color you would ever need to choose from for your colorful creations. To save money (which is important this time of year), make sure to check out Michaels coupons for additional savings in newspapers and online! 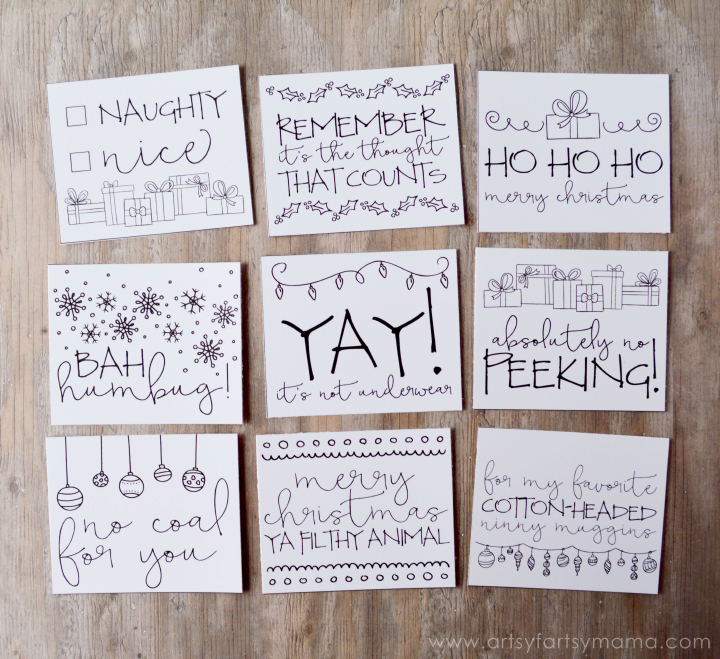 There are 9 different gift tags with holiday quotes (plus a few silly ones) included in the printable, all pre-doodled for you and ready to be colored. If you really want them to look like you've drawn them all yourself (it's okay, your secret's safe with me! 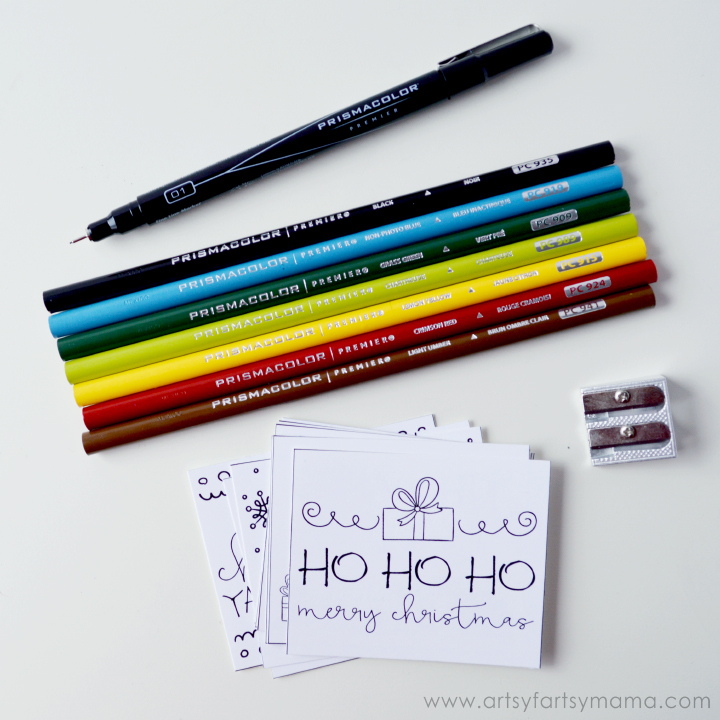 ), feel free to trace the gift tags onto the paper of your choice with the Prismacolor Premier illustration markers, then color them in when you're done! I've been a colorer (is that a word? It is now.) and doodler all my life, and I've used almost every kind of colored pencil out there. If you're looking to pick up the coloring hobby, the Prismacolor Premier colored pencils are definitely worth the splurge. They color smooth, brilliant and I love how you can easily blend colors together without it looking streaky like other pencils do. Some of my best tips for coloring are to start with the edges and work your way in. Go back around the edges, but color a bit darker, and lighten up to the center as you go. Then you can use a different shade of the same color and blend that color into the center. You can kind of see the different greens in the top left leaf on the gift tag above for an example. Also, remember to have FUN!! Your coloring doesn't have to be perfect! Like most things in life, the more you practice the better you'll get at it. Most importantly, enjoy the journey and take some time to unwind. 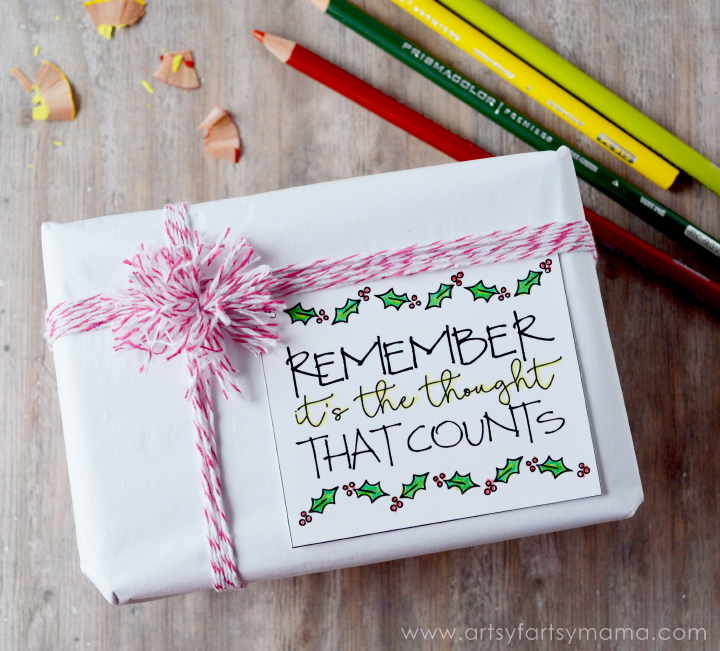 Once you're done coloring, attach the gift tag to your gifts (heck - why not doodle/color the gift wrap, too?) and grab your favorite drink to celebrate being done with getting those gifts wrapped! 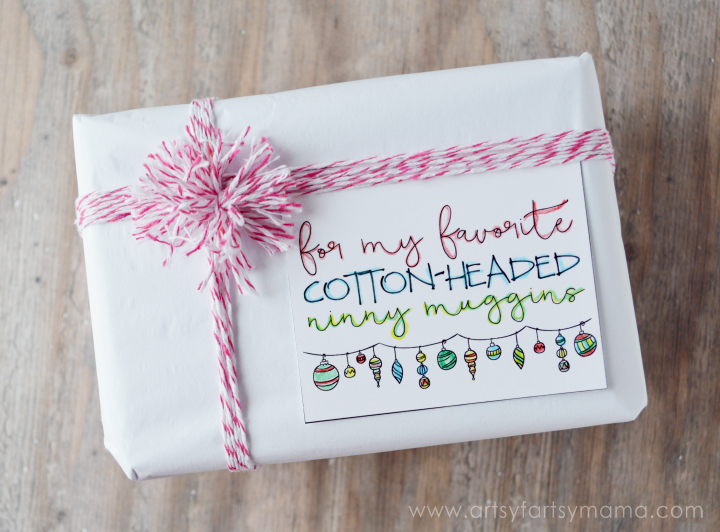 Even if you aren't a "crafty" person, this is definitely a Christmas craft ANYONE can do. My daughter loved getting to spend time coloring with me and was inspired to add her own tags to gifts for friends and family. Be sure to follow Michaels on Facebook, Twitter, Instagram, Pinterest and Google+ for more coloring and crafting inspiration. You can also click here and select “free pages” to download your own free Prismacolor coloring pages!